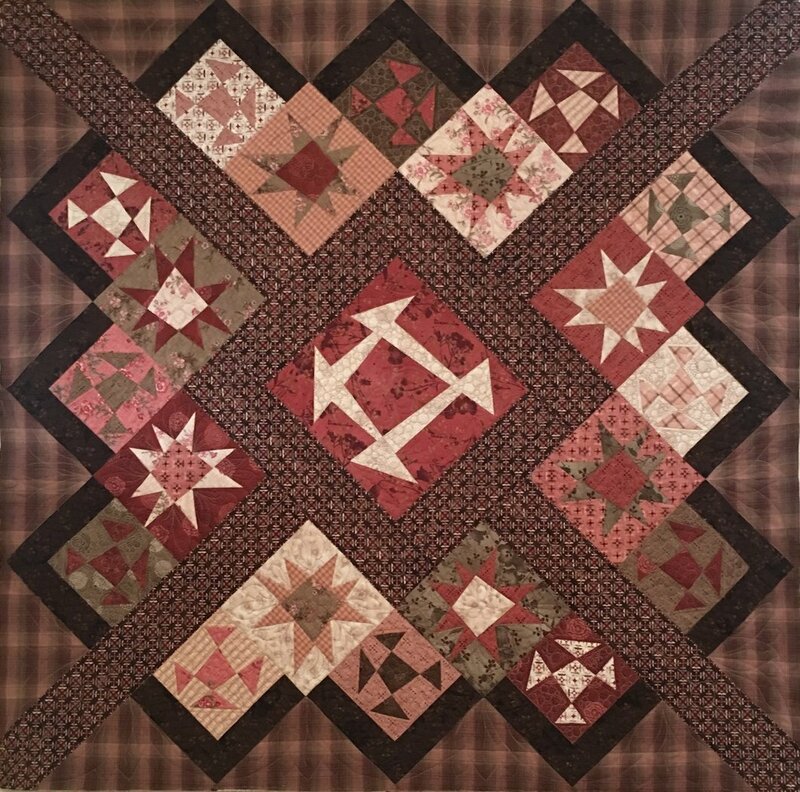 Kit for Janet Rae Nesbitt's newest "Crazy" creation, "Altogether-ly Crazy" which combines three of the crazy pieced blocks in a showy setting! Made with Janet's newest fabric line, Tickled Pink and One Sister Yarn Dyes. From the One Sister ® book, "Half Crazy" (purchased separately) Kit includes fabric for the top and binding. Finished quilt measures 51" x 51".